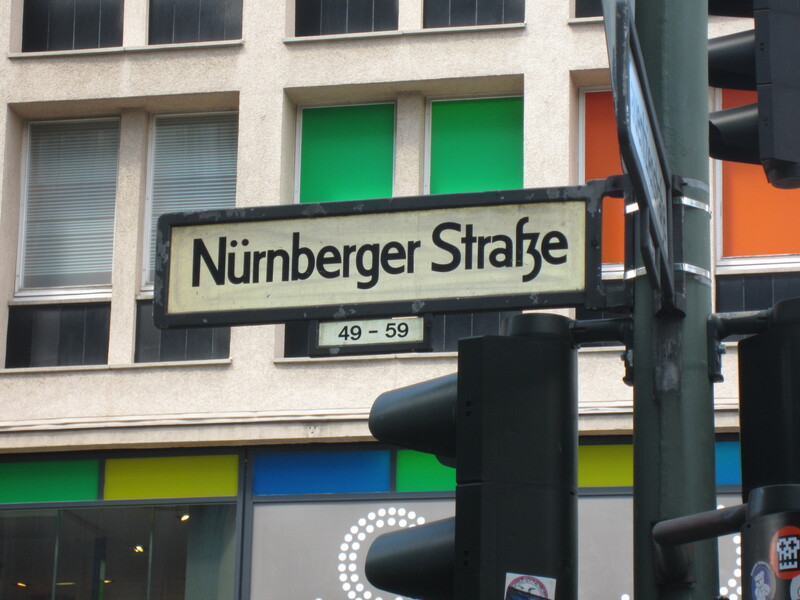 I recently vacationed in Germany, where I was born and raised. 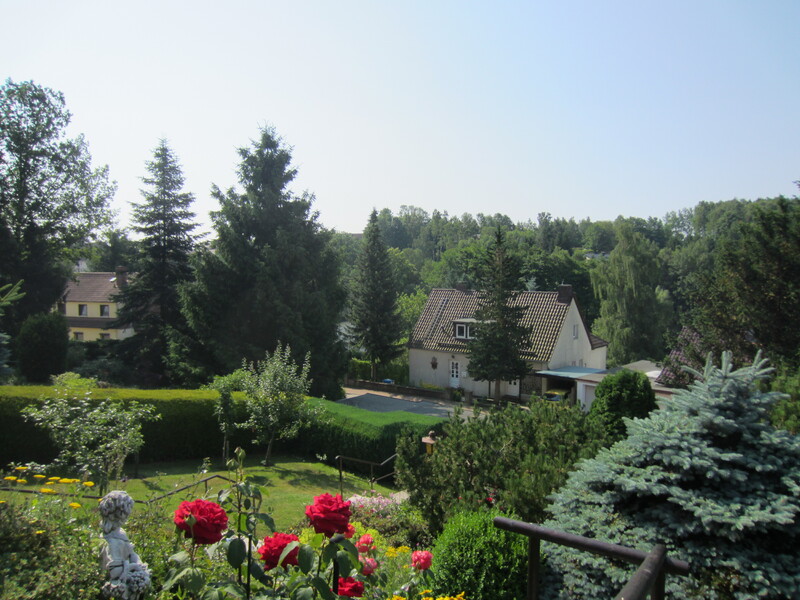 I visited my father who lives in the Harz Mountains and stopped in Berlin as well. When it comes to the country’s design, the element I’m most enamored with is the texture. 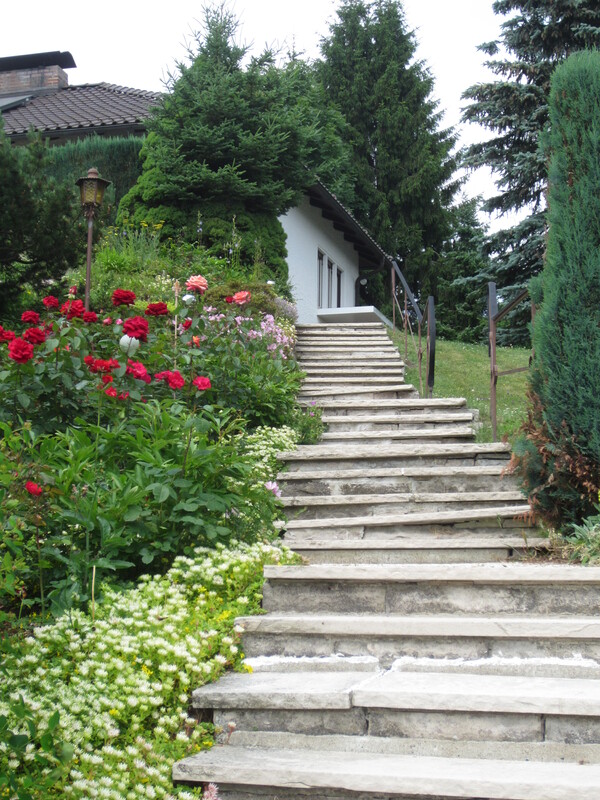 Exteriors of homes, some hundreds of years old, are a mix of different materials. 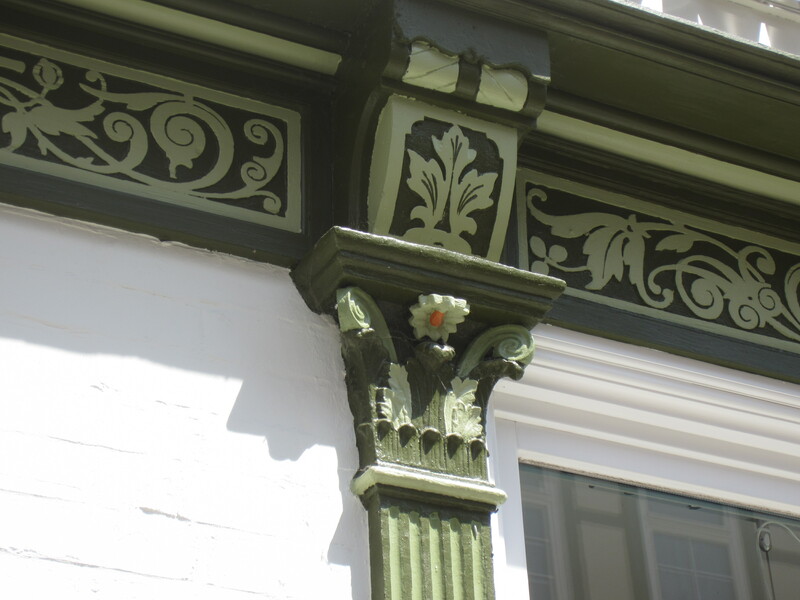 The traditional architecture is often accented with flowers in an array of colors. 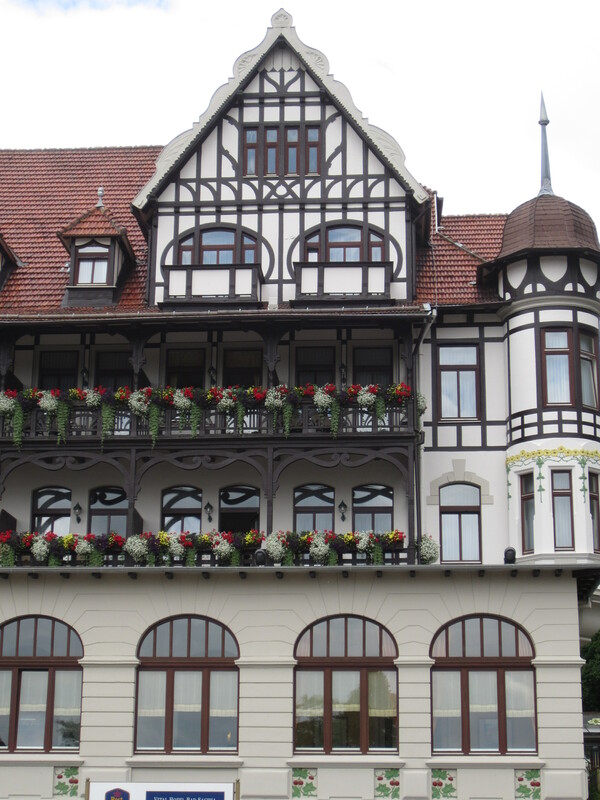 A hotel in Bad Sachsa, a small town in the Southern Harz Mountains. Notice the half-timbered frame, flowers, and tiled roof. I especially love the curved wood beams over the balconies. 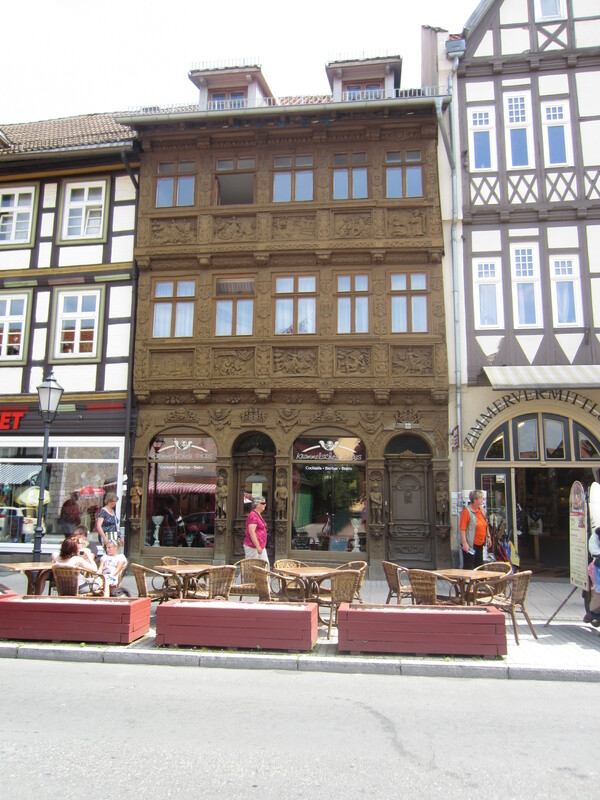 An ornate building on the main shopping street in Wernigerode, probably fully carved by hand. Amazing! 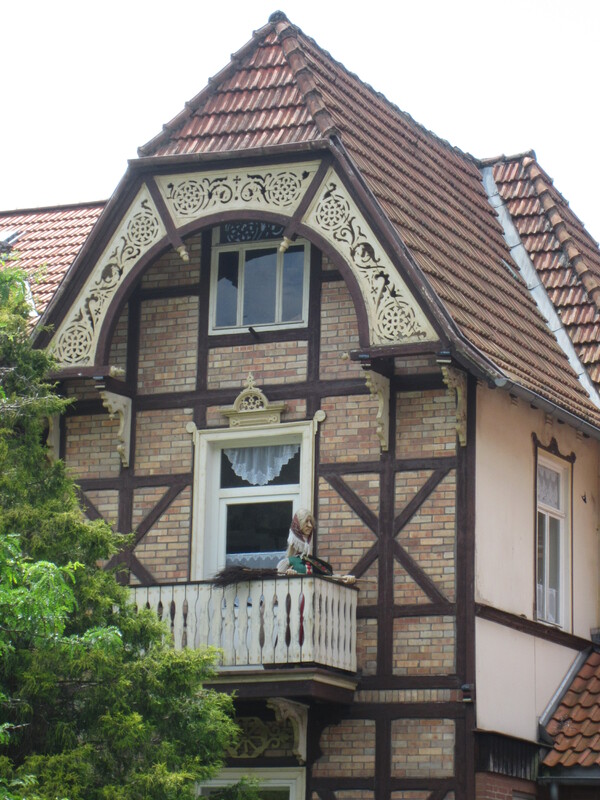 A balcony in Bad Sachsa housing a witch (very Hansel and Gretel but actually a reference to the Brocken Mountain. Supposedly witches live there and meet once a year for Walpurgisnacht)). By the way in Germany you will frequently see a “witch” hanging in the kitchen, which is said to bring good luck and ward off evil spirits. 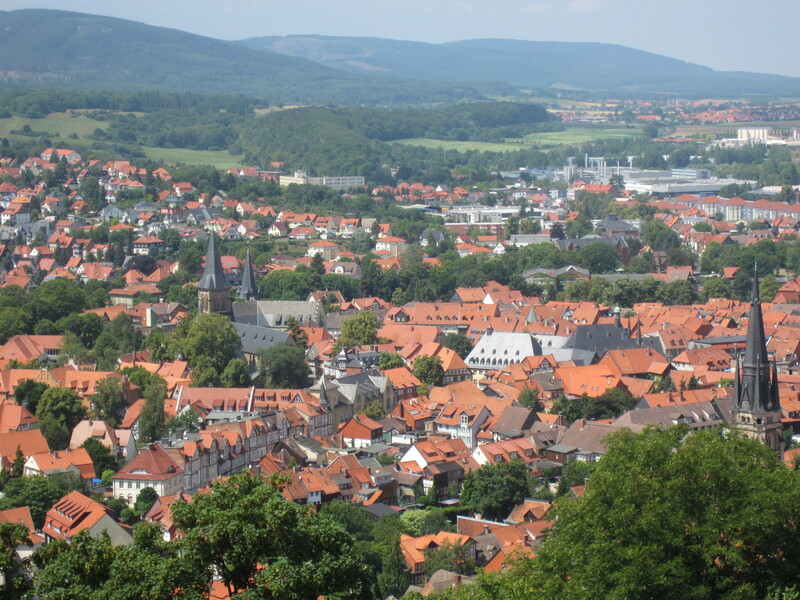 A view of a small town in Germany, full of red tile roofs. 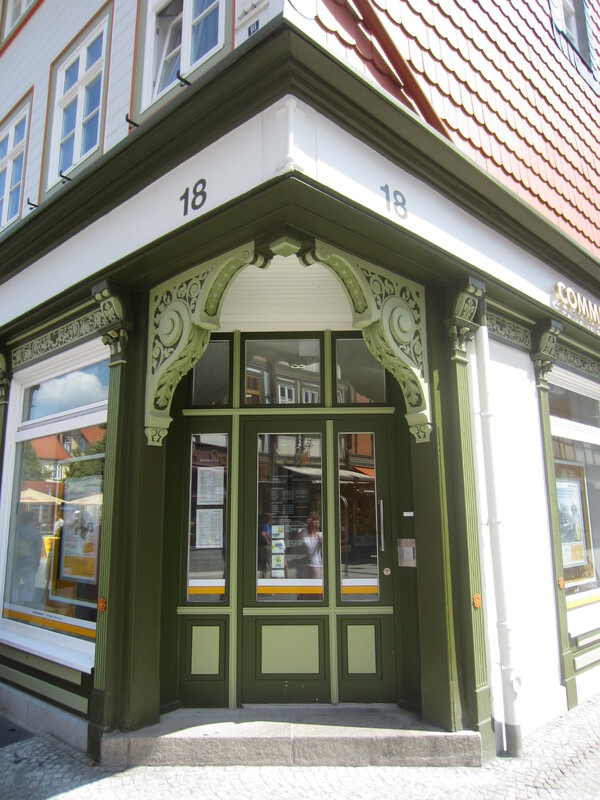 A bank in downtown Wernigerode. A closer view of the bank. Look at the details! 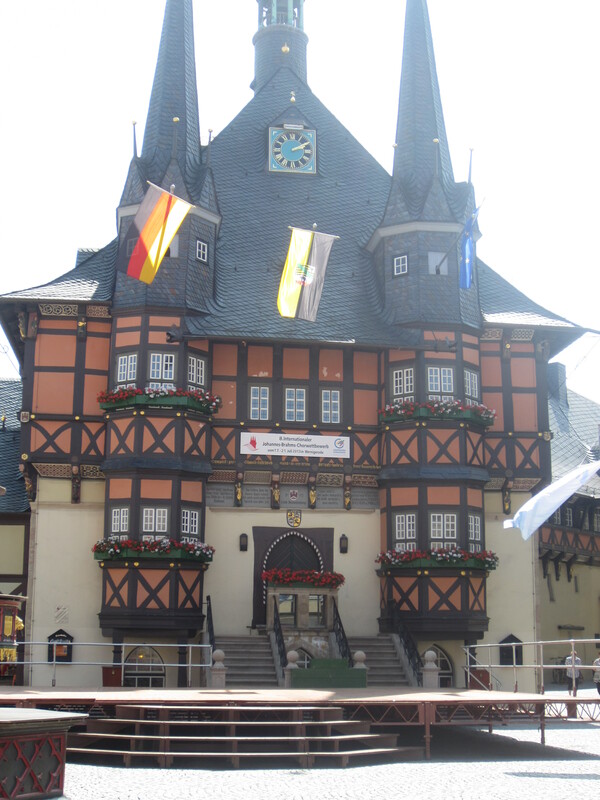 The Bad Sachsa Town Hall bearing the city crest. 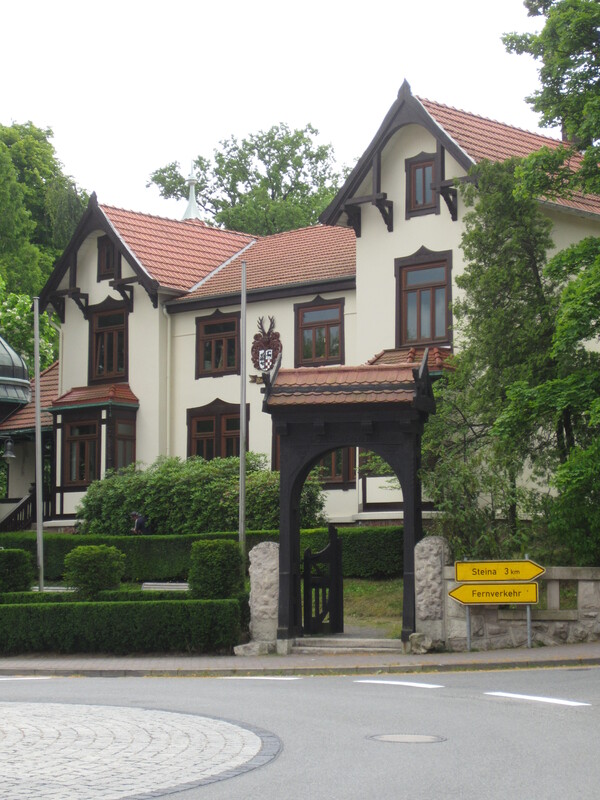 My father’s home in Bad Sachsa. The view from my father’s veranda. 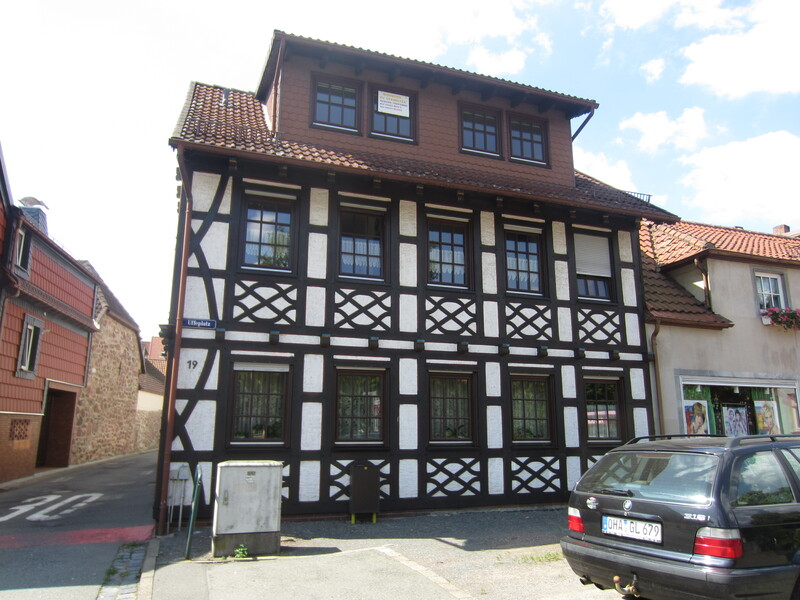 The home my grandfather was born in, located in Bad Sachsa. 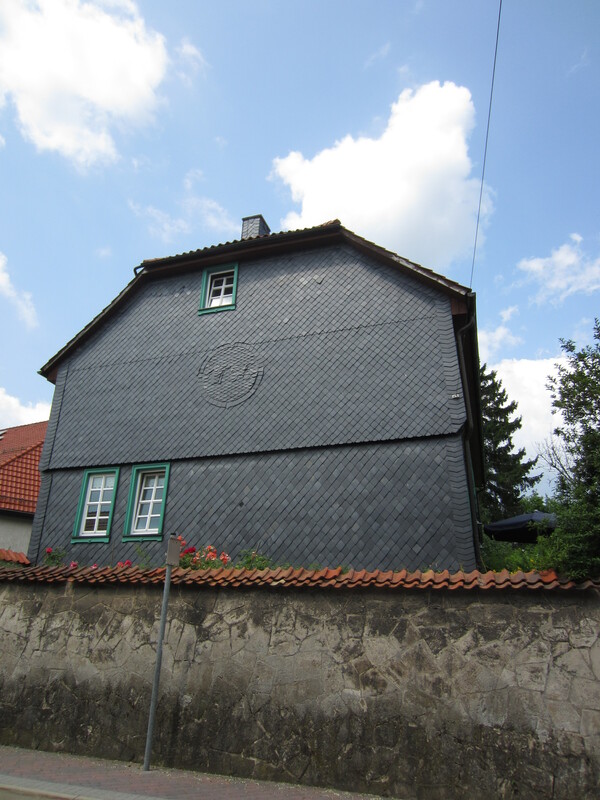 A house in Bad Sachsa. 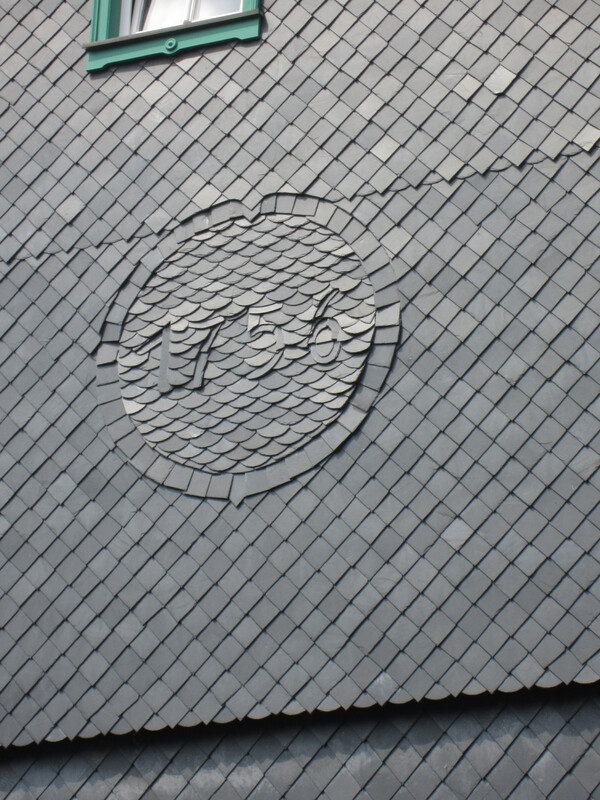 A close-up reveals the year that the house was built. 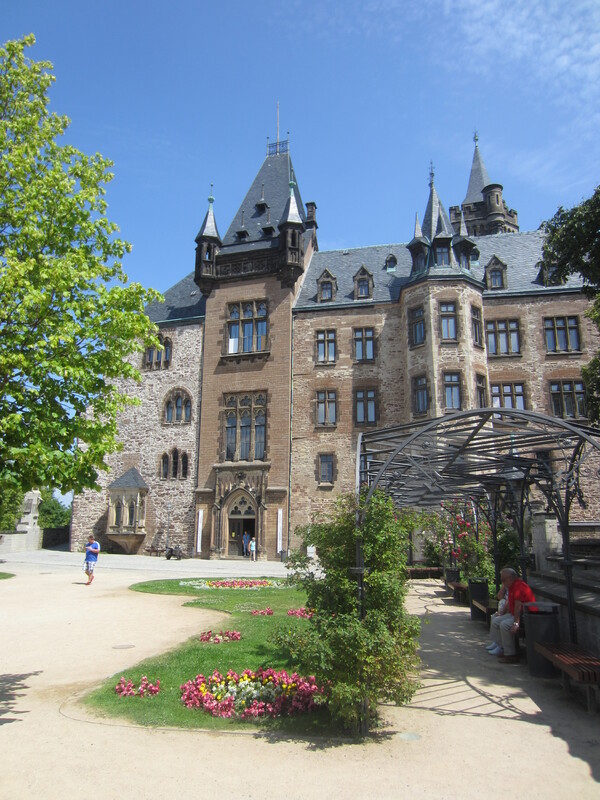 Wernigerode Castle. Once a Medieval fortified castle, it was rebuilt in a Neo-Romantic Gründerzeit design in 1893. The interior of the castle. Full of texture. 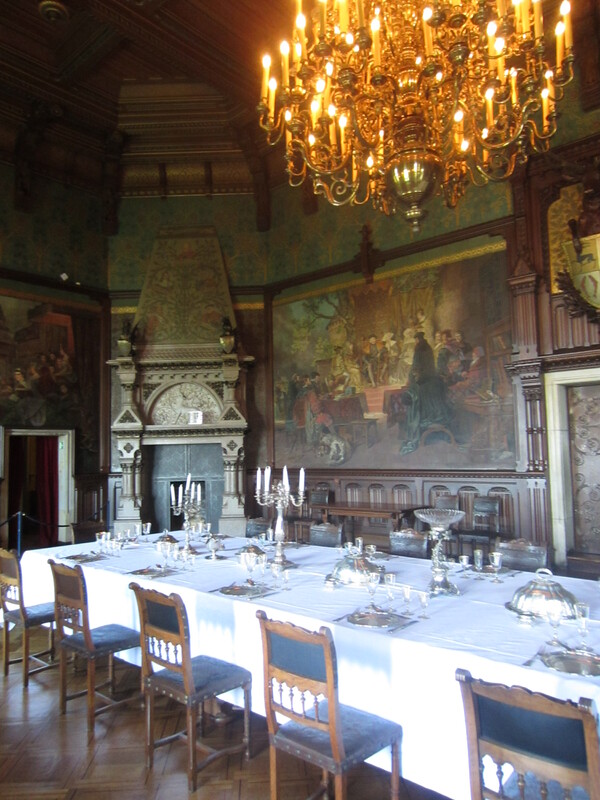 The dining room in the castle. 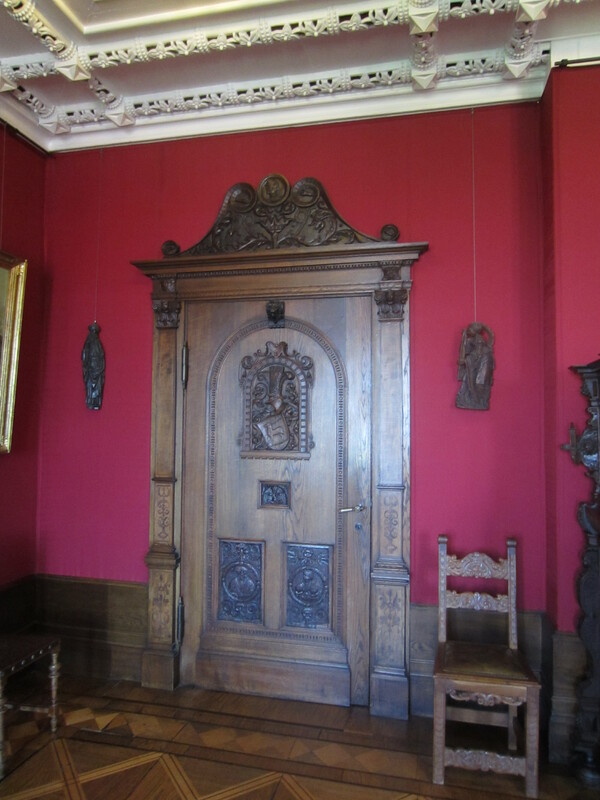 Pretty much all rooms appeared to be either original or carefully restored. 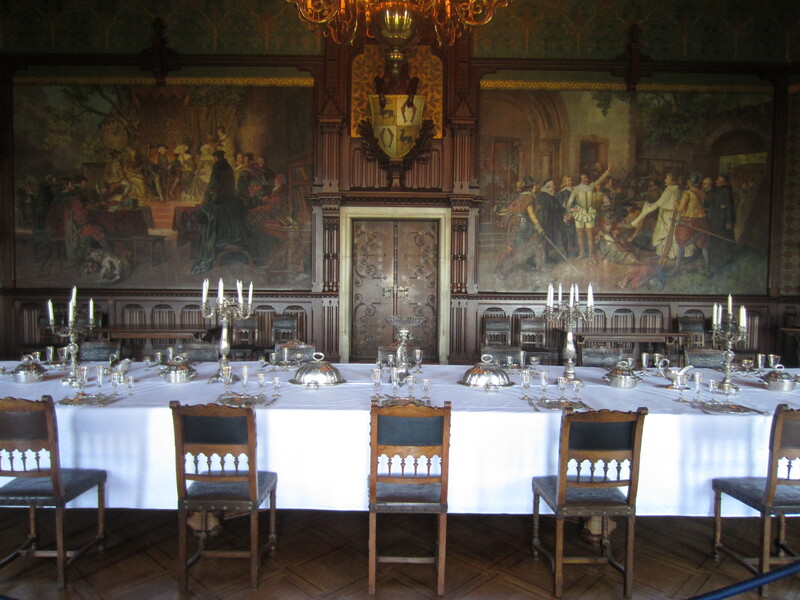 The dining room features an opulent chandelier, incredible architectural features, and beautiful murals. 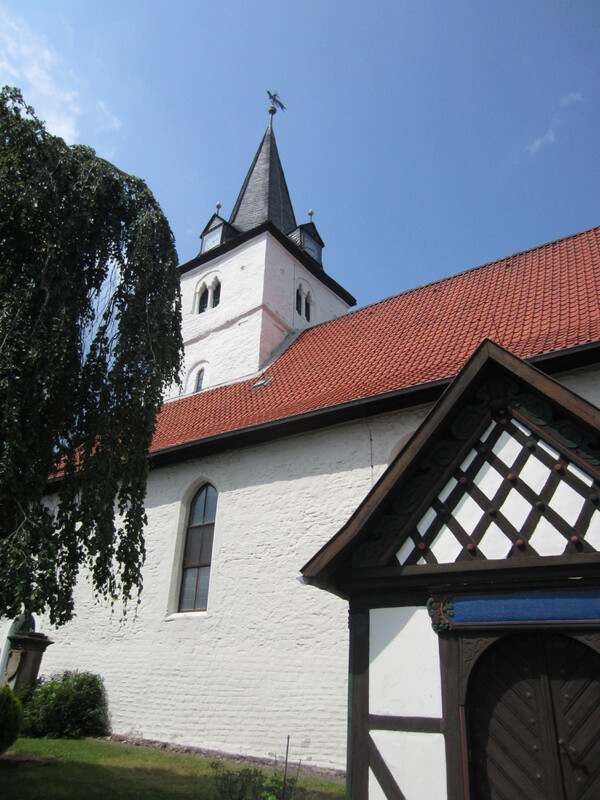 The exterior of the St. Nikolai Church in Bad Sachsa. 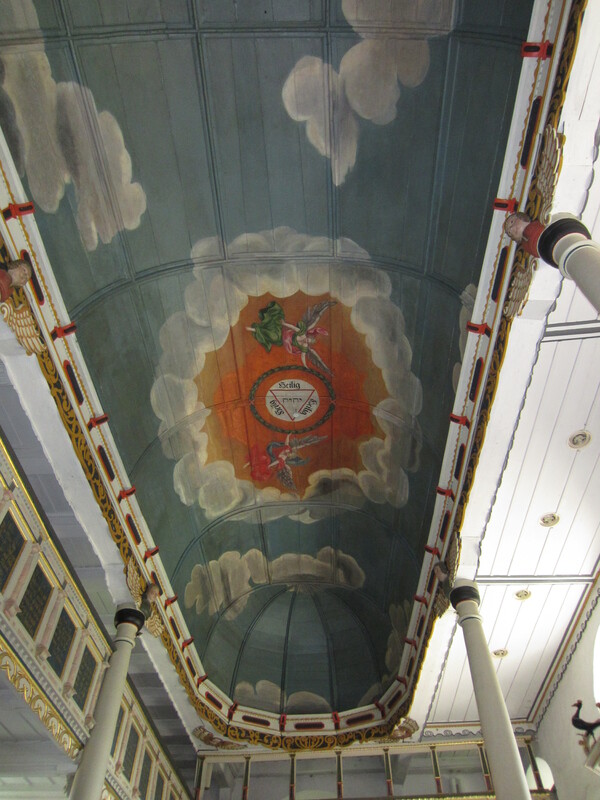 On my father’s side i have records dating as far back as the 1700s of relatives which were either married or baptized in this Church. 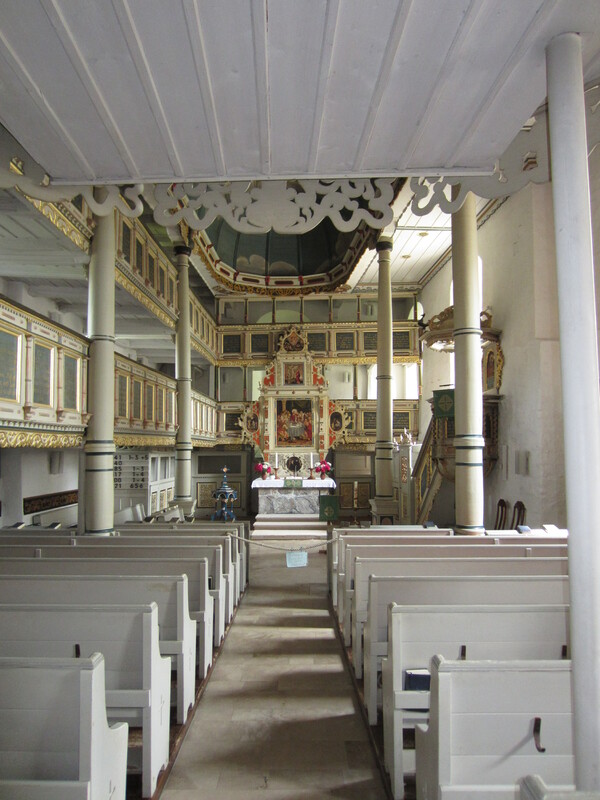 Another example of texture in the interior of the St. Nikolai Church. 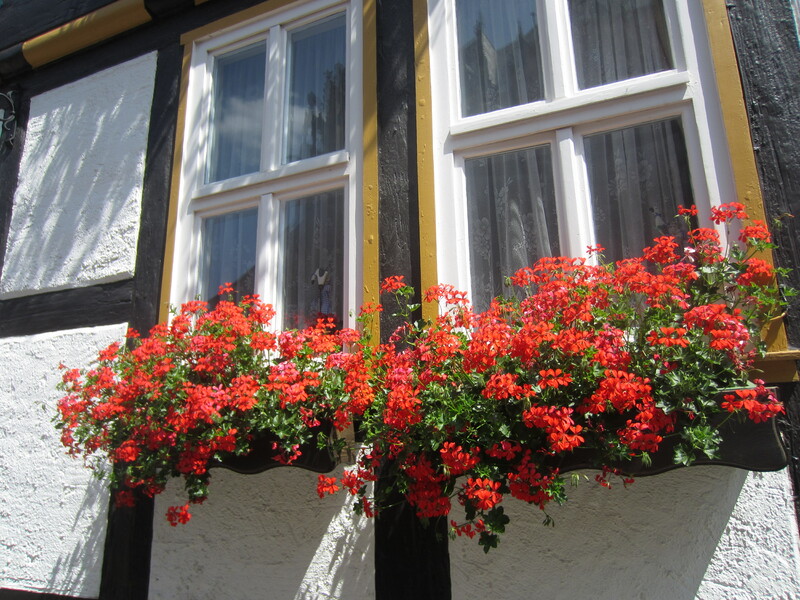 One of my favorite aspects of German exteriors, window boxes. This one features “Ivy Geraniums”, which is probably the most popular plant for window boxes there. 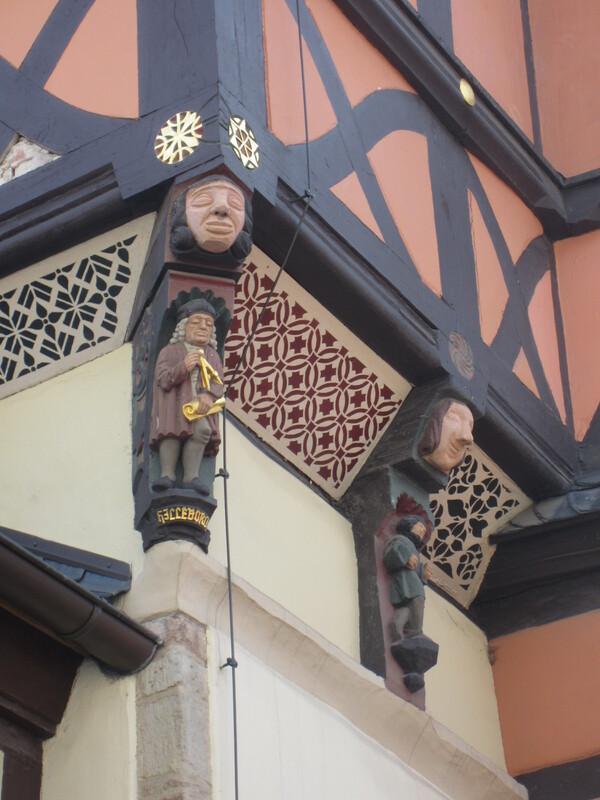 View of the Town Hall’s architectural details. More photos to come in future installments. What do you think of the architecture, texture, and traditional design? Categories: Architecture, Photography | Tags: architecture Germany, German castle, Harz Mountains, traditional german architecture, Traditional German homes | Permalink.